10.10" x 6.90" x 0.38"
Samsung’s Galaxy Tab 2 has a 10-inch TFT display with 1280 x 800 resolution. 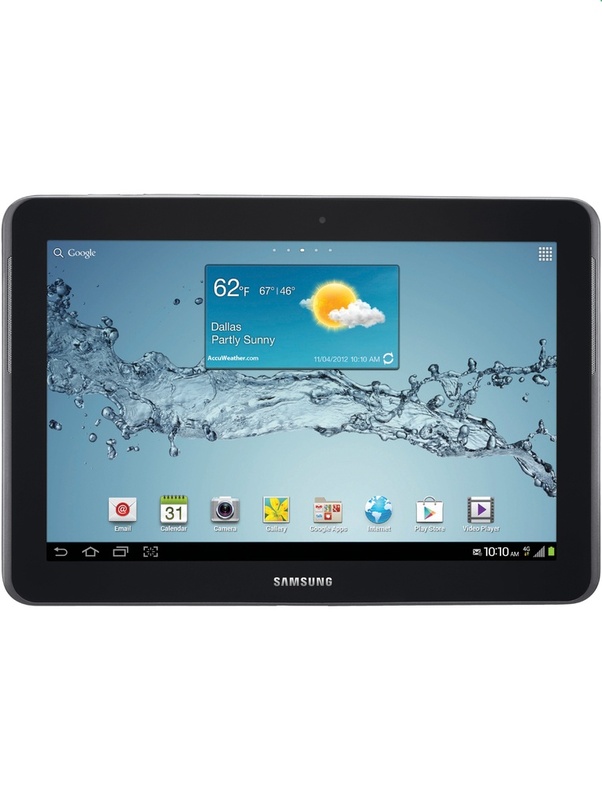 The Galaxy Tab 2 offers 16 GB of internal storage with a removable storage option for up to 32 GB of extra space with a microSD card. Equipped with 3G access, the Samsung Galaxy Tab 2 gets nationwide coverage on Ting's GSM network. This device comes preinstalled with FleetUp's Hours of Service (HOS) mobile app. High-speed internet wherever you go, with average download speeds of 400-700 Kbps and peak rates up to 2 Mbps.